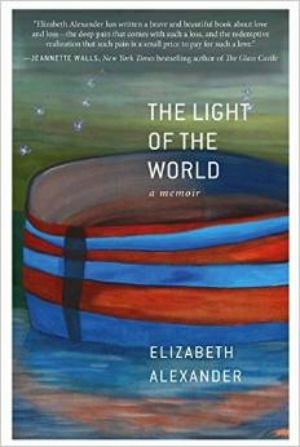 The Light of the World, a memoir on love and death and grief by the prize-winning poet and Yale professor Elizabeth Alexander, was published April 21 and quickly made best-seller lists. I have been reading memoirs by widows lately, and I wanted to compare Alexander to two literary giants a generation older than she, my contemporaries Joan Didion (The Year of Magical Thinking) and Joyce Carol Oates (A Widow’s Story). At first, I thought that Alexander’s story was too foreign to my experience, for she is an African-American woman who was married 15 years to an artist from Eritrea, in East Africa; and her grief was that of a 50-year-old woman with two young sons. Her descriptions of him and his culture, of their family life and their love are lyrical; so I was drawn into the story by her exquisite, descriptive language. 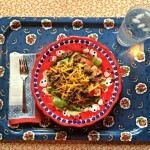 But grief has a universality, and her ability to describe her grief resonated. My bed, the bedroom, the house, was suffused with sorrow. Sorrow like vapor, sorrow like smoke, sorrow like quicksand, sorrow like an ocean, sorrow louder and fuller than the church songs, sorrow everywhere with nowhere to go. Her list of things to be thankful for isn’t too different from mine. Gratitude is what gets widows over. “The Light of the World is a crescendo, moving through history toward loss, arcing away from loss. It is a quest to understand whether memory is finite, whether a soul remains tethered, whether joy is possible—again. Its language grows more complex as the book evolves. Its repetitions become refrains. Its hope breaks like light breaks, though light is tremulous and fickle. “To have loved. To have lost. We cannot truly lose, Alexander reminds us, what we have not loved. “I was thinking of Charleston as I read this book. Of the families whose loved ones went out one evening to pray and who did not return. I was thinking of the terrible mourning that is upon that community now, the long stretch between now and the coming light for those who loved those who were taken. I was thinking of how essential it is to love out loud, to love in the moment, to look beyond the small infractions so that we spend the time we do have together, have been given, well.